Widespread, common breeder, primarily in riparian habitats with hardwood trees. Recorded from coastline to mountain passes. High density of records at moderate elevation along Yakima River drainage in dry-forest zones of Kittitas County. 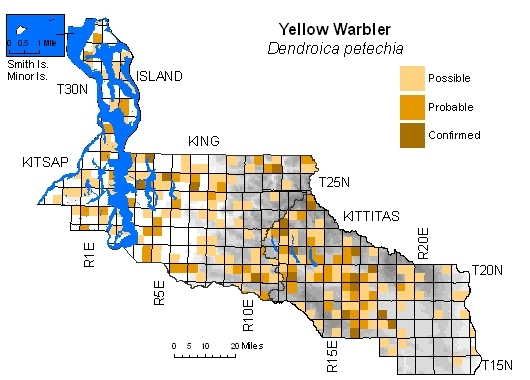 Nearly absent from steppe zone to Columbia River, and possibly declining on Columbia Plateau (Smith et al. 1997). 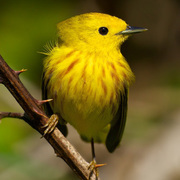 Greater share of records from urban core may represent late migrants and dispersal of failed breeders, since species still on move into early June and again by mid-July.